Hotel Royal Residency is one of the most sought after 3-star hotels located conveniently on MG Road. 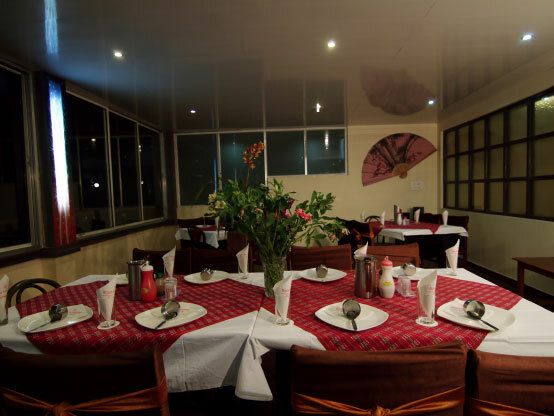 It is one of those hotels in Gangtok from where guests can enjoy complete and unobstructed views of the town of Gangtok, green valleys and the Kanchenjunga Range at its majestic best. Doctor on Call, Complimentary Newspapers in Lobby, Airport Transportation, Breakfast Services, Travel Counter, Room Service, Restaurant, Backup Generator, Currency Exchange, Family/Child Friendly. H/C Water, House Keeping, Room Heater, Attached Bathroom, Television Room, Moisturiser, Cable/Satellite TV, Air Conditioning Room, Wakeup Calls, Iron/Ironing Board. User reviews for "Royal Residency Hotel Gangtok"